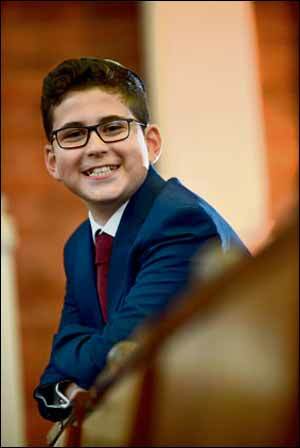 LEEDS United fan Jacob Kessler was barmitzvah at the United Hebrew Congregation. Jacob, the son of Joanna and Michael Kessler, of Alwoodley, follows the Championship side home and away. Joining in the celebrations were 16-year-old sister Amy and grandparents Judith and Alan Caplan and Roni and Tony Kessler, all of Leeds. Xbox fan Jacob also plays football for Leeds Maccabi under-14s.